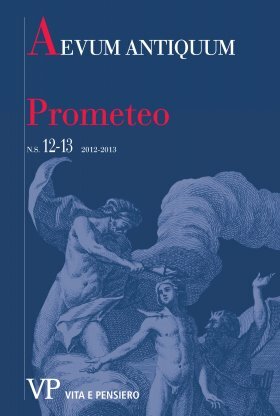 In his double narration of myths related to Prometheus, Hesiod proves to rework traditional narratives in different ways. This is particularly true with regard to the Pandora of the Works and Days, in which the author is probably overlapping two different figures: the ‘beautiful evil’ sent by gods to men, and the progenitor of the female gender. In this context are of great importance Hesiod’s false etymologies, whose purpose is to accredit its own version of the myth: for example, about Prometheus / Epimetheus or about Pandora.